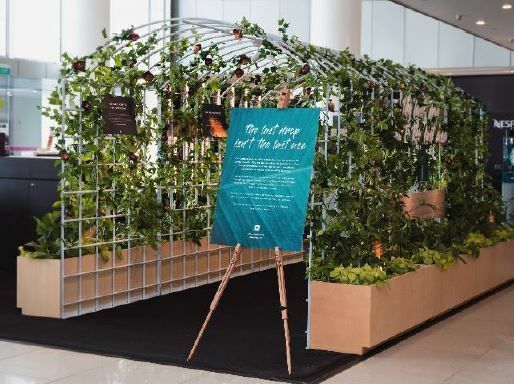 Nespresso presents the Nespresso Canopy Garden sustainability pop-up. From Thursday, 19 April to Monday, 30 April 2018, the sustainability-focused pop-up highlights Nespresso’s vision for quality coffee, sustainable use of aluminum as well as its local recycling efforts in Singapore. Showcasing the endless possibilities of every used Nespresso capsule and how aluminium is infinitely recyclable, this pop up features a Canopy Garden which share more about Nespresso’s local sustainability journey and partnership with Quan Fa Organic Farm as well as artworks by two homegrown artists, made using Nespresso capsules.